As first noted in a leaked roadmap last month and now seemingly confirmed by Chinese website EXPreview.com, AMD is scheduled to release their mid-range HD 7870 and 7850 series graphics cards based on the Pitcairn GPU in March. 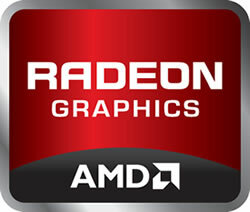 The latest leak reveals one Radeon HD 7870 and two Radeon HD 7850 cards; one with 1GB of memory and the other featuring 2GB. Specifications for each card can be found below. According to Tom's Hardware, early pricing for the HD 7870 is in the $300 ballpark while HD 7850 cards are expected to start around $220. It’s of course worth mentioning that these specifications aren’t official and even if they prove to be accurate, they only cover reference cards so we are likely to see manufacturers squeeze a bit more performance out of each via overclocking. We’ll likely know more come March 6 when CeBIT kicks off in Hanover, Germany.